You never, ever hear about them, but they’re there. The unsung heros of leading men at the Academy Awards: makeup. Sonia Lee, top grooming pro to the stars, tells us how she disguises bald spots, perked up pale cheeks and tinted lashes before awards shows. Plus, what do these guys stash in their Tom Ford tuxes for touch ups? Don't want Ryan Seacrest to ask what you're wearing on your collar? To avoid getting makeup on crisp white tuxedo shirts, Sonia lines collars with tissues and stops applying foundation one or two inches away, then blends. “Most of the time, the ears are red. So foundation makes everything look more natural. Just use whatever you have left on your brush or sponge. Don’t forget to get the back of ears,” Sonia says. 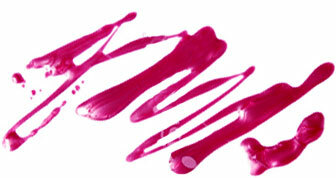 Sonia likes to use Skinn Cosmetics Orchid Gel Mattifying Treatment for a grease-free finish. “This product has light-diffusing pigments for a great mattifying effect. It absorbs excess oil and blurs pores,” she adds. OK, so guys don’t have Judith Leiber clutches. So most men carry MAC blotting sheets. “And if they’re really greasy, I have them put a MAC mattifying cream in their pocket,” Sonia tells us. “Laiter Blue Collyrium eye drops make blue eyes sparkle without any redness,” Sonia says. Redness looks more obvious on blue and green eyes, so she doesn't use these on brown eyes, because they tend to sting. “Just regular eye drops if they need it,” she adds. Sonia enhances her clients' arches, so they don’t disappear on camera. “I use eyebrow powder to fill in the brows,” says Sonia. “I wet the powder with a brush first. It tints the eyebrows if the man is blond, or if he has scars or spaces on the brows.” She uses powder one shade darker than the natural brow color. She also grooms the brows with a clean mascara brush spritzed with hairspray. "For droopy eyes, I use an eyelash curler. It opens up the eyes without makeup. For blond lashes, I wipe off most of the mascara from the wand so there's almost nothing left. Then I apply it just to the end of the lashes. It’s very subtle but you can see the difference” she says. Sonia loves using Tarte Cheek Stain on her clients' cheeks, because the cream formula is much easier to apply and wipe off than a liquid stain. “I also use it on lips if someone has a naturally pale lip color,” she adds. Sonia likes to apply Murad Soothing Skin and Lip Care to gently exfoliate the lips for long-lasting moisture. “I put this on before anything else and wipe it off 20 minutes later,” she advises.